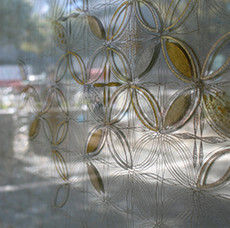 Silk Glass” reflects the precious beauty of artistic silk texture, embroidery and gold leafing artistic craftmanship. Such ITOKO’s Kimono skills since 1931 and the contemporary innovative technology are infused together to create our products. We are so pleased to welcom your visit to see our products in large and in details. 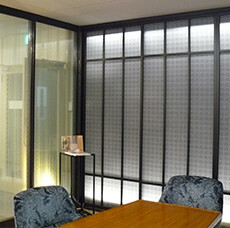 Our showroom is available for your visit to know our products in details of Kimono silk texture and interior materials “Silk Glass” in large. Please contact us in advance. Please contact us in advance for your reservation. 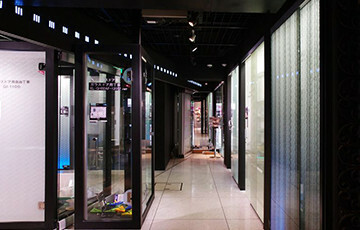 Another showroom in Tokyo is open as follows. 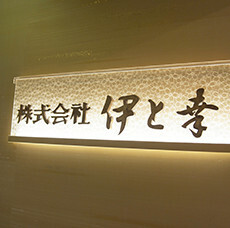 Sugatsune Kogyo Co., Ltd. On the ground floor of Sugatsune Build. 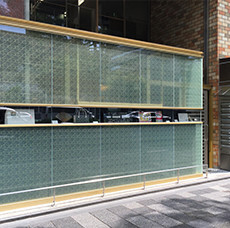 Silk Glass fixed with Sugatsune metal frames.